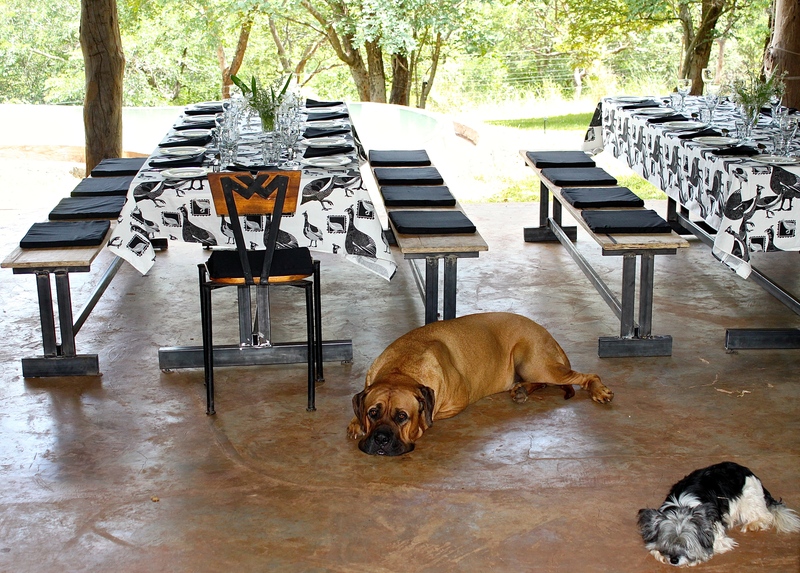 Mikey & Gypgyp waiting for our first ever visitors, who had traveled to Livingstone from Denmark in February. 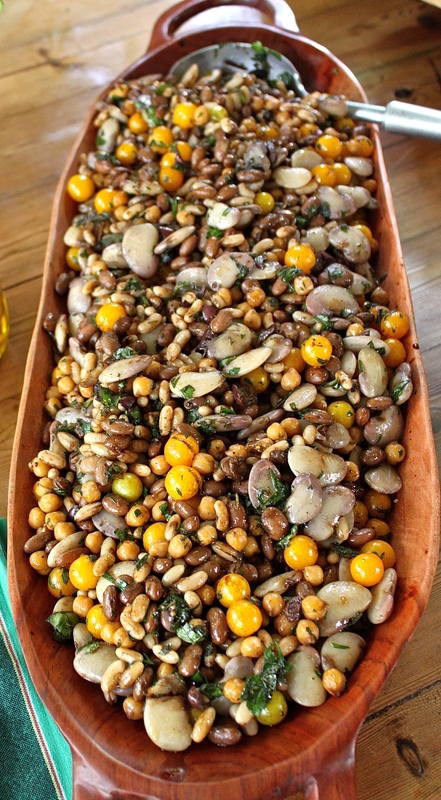 A mixed bean salad with, among others, Christmas lima beans, yellow cherry tomatoes, and fresh herbs from the garden. 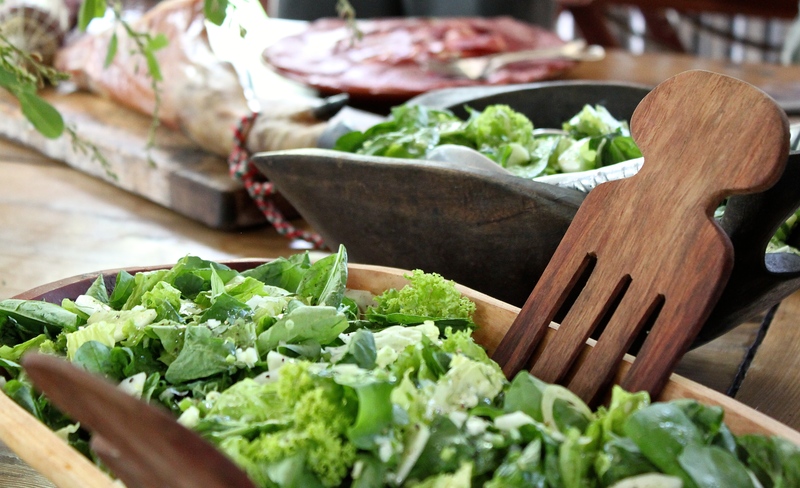 Mixed green salad with a lemon and mustard dressing. 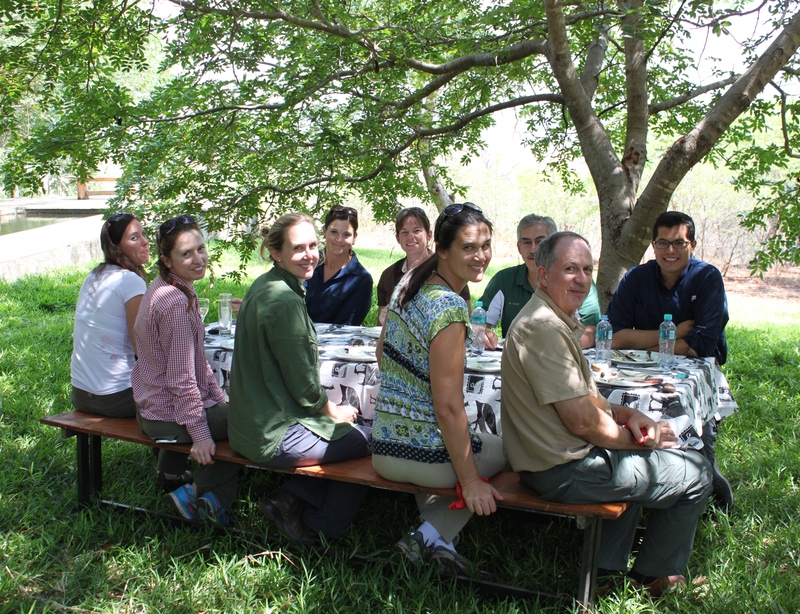 A table of agricultural leaders from California enjoying lunch under the teak trees. A summer lunch, which included my New Potato Salad with Fresh Herbs and Nasturtium Capers, a recipe that was recently featured in The Cook’s Cook magazine in the United States. 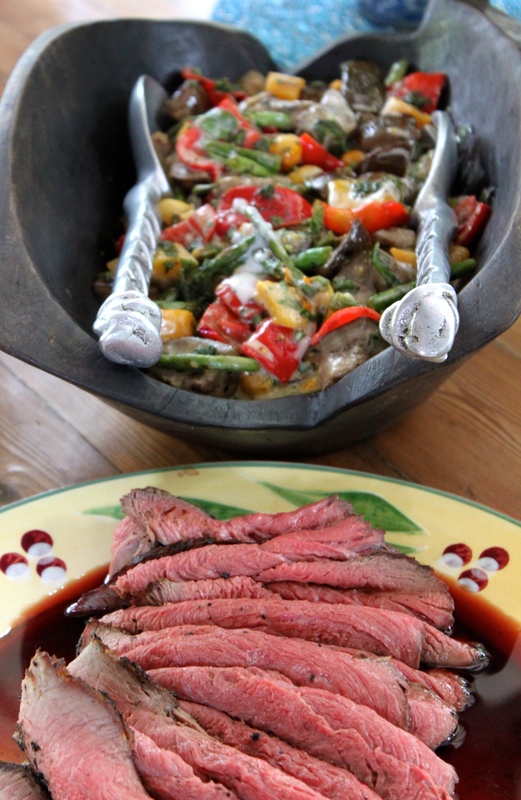 Rare rump steak and a grilled vegetable salad inspired by Ottolenghi. 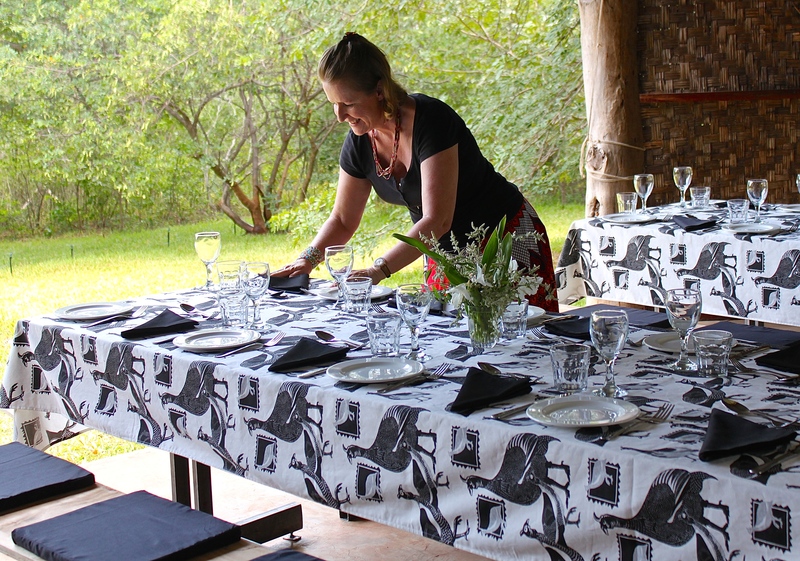 Preparing the tables for a farm lunch in the lodge. 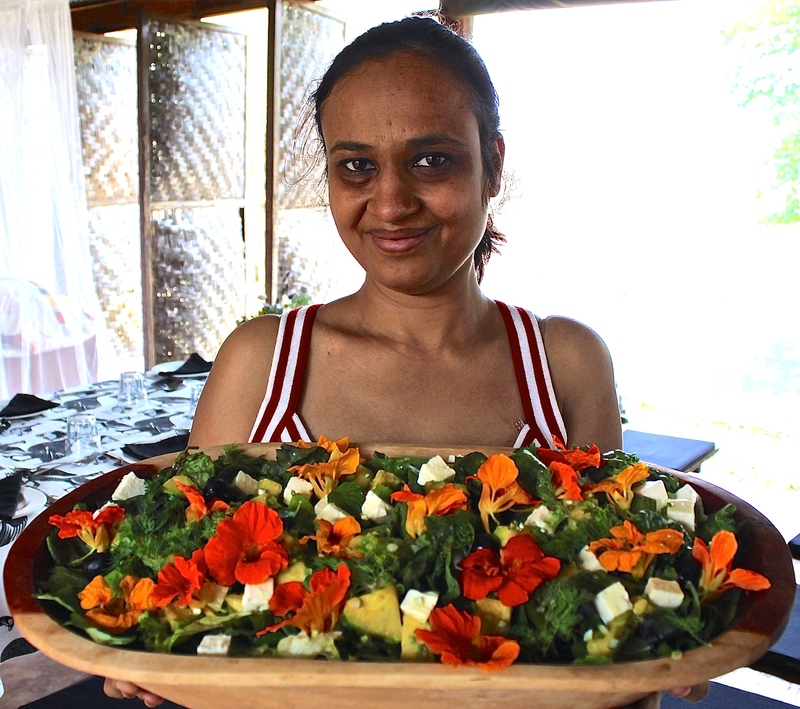 Mansi Vasiwala, a visitor from Livingstone, displays one of our fresh garden salads. 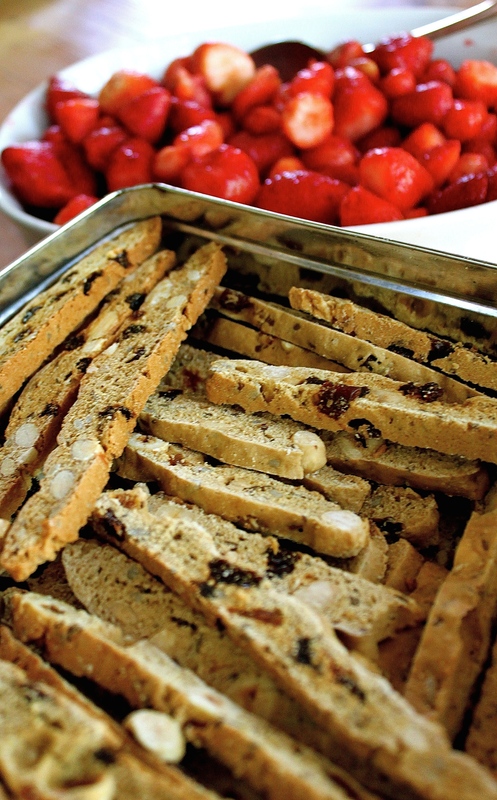 Bush Biscotti served with fresh strawberries. 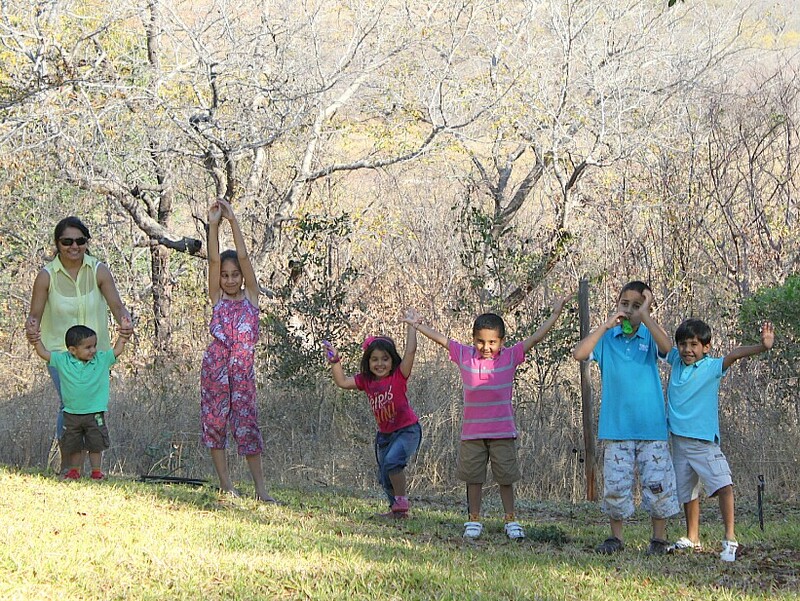 Indian children from Livingstone loving the freedom of farm living. 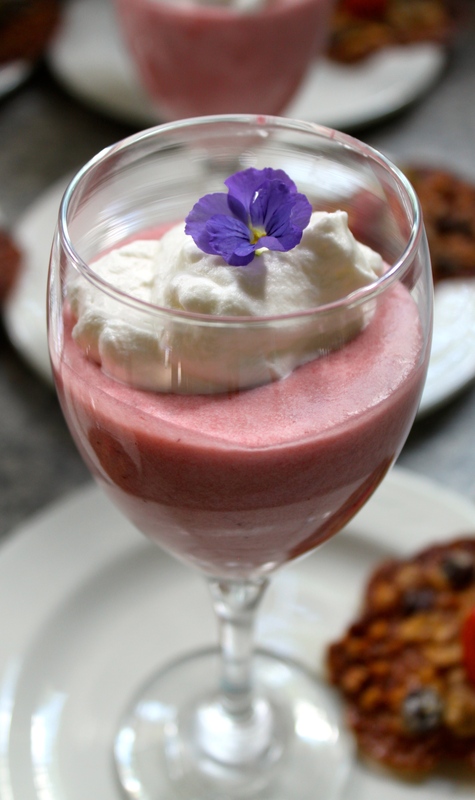 Strawberry Fool served with Mongongo Nut florentines. 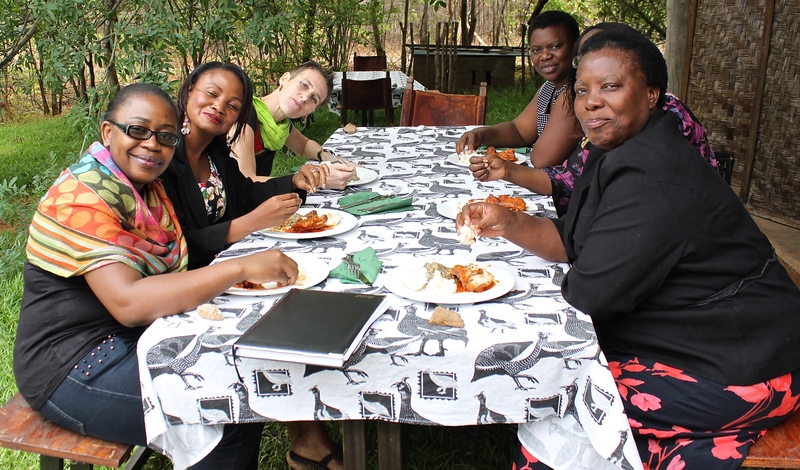 An HIV advocacy group that traveled from Livingstone to the farm for a workshop and lunch. 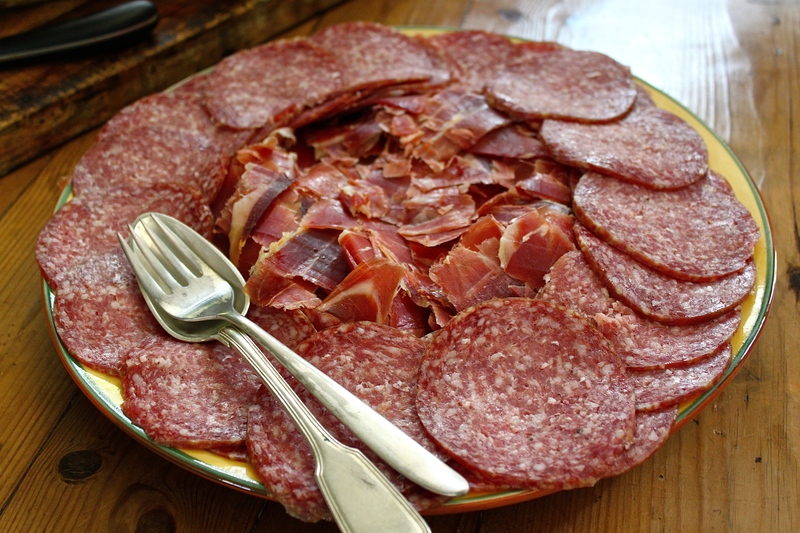 Italian salami and Spanish jamon. 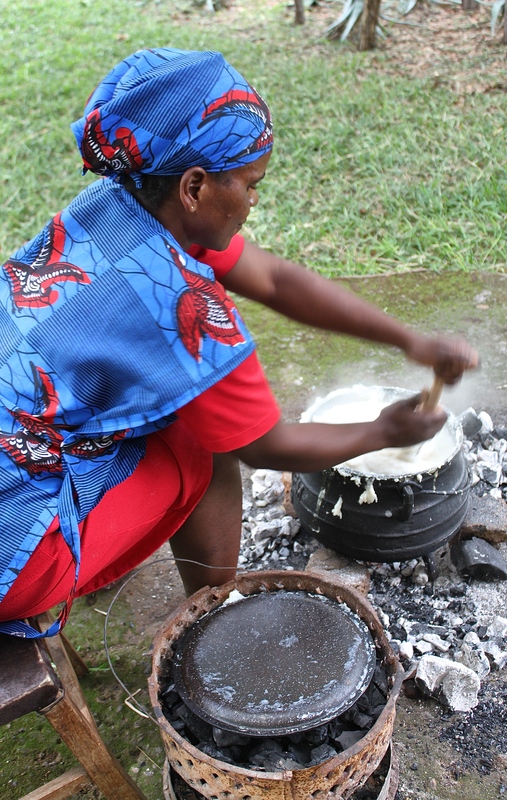 Otiria Ngoma preparing nshima for our first traditional Zambian lunch. 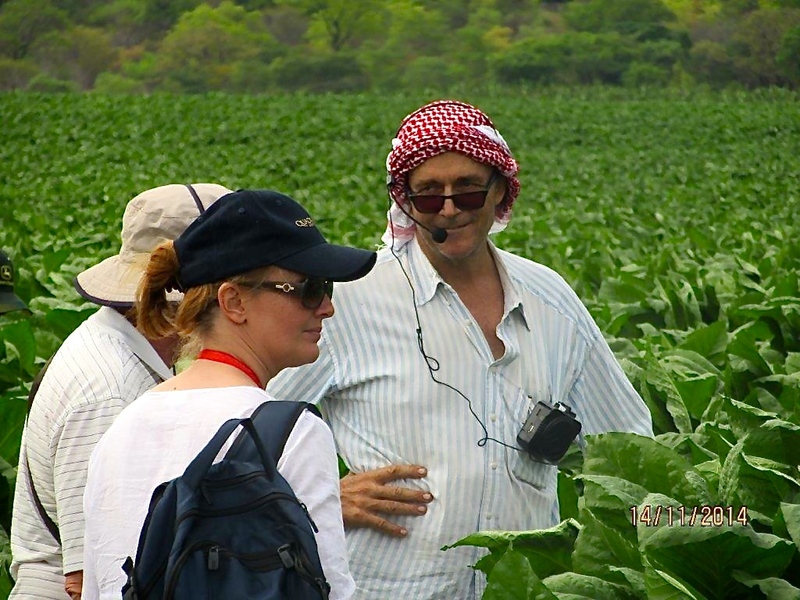 Chris showing the farm to 85 agricultural tour operators visiting Livingstone for an ATOI conference in November. The keffiyeh was a gift from an Egyptian-based tour operator! Photo credit: Daph Lindsay of Zamag Tours & Safaris. HUGE GRATITUDE TO EVERYONE WHO SUPPORTED US … AND HAPPY HOLIDAYS TO YOU ALL! Annabel, Matt & I wish you & Chris a very happy Christmas. We are here in Yass ( near Canberra) with Camilla & Duncan & other animals. Mostly animals. This current blog is so good & the photos as usual are spectacular . You will soon be in Chateax & Relais. They just have to find you. What a lovely year. Hope you have a merry Christmas! You have been so brilliantly busy – may all your endeavours go from strength to strength! Happy Christmas and all the best for 2015. 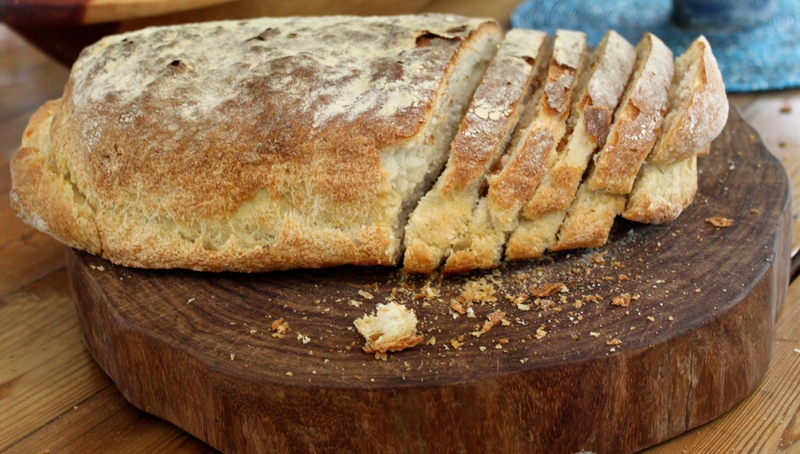 Your photos make me ravenous Annabel! !